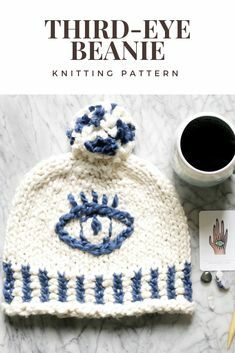 The “eyes” have it with this chunky, cotton hat that’s perfect for the transition between frigid Winter weather, and cool Spring. The Third Eye beanie was inspired by the tuning into one’s creative, higher self. I had the pleasure of spending a couple of days at the Visible Mobile summit with a collection of visionaries, across creative realms, whose candor, and energy reinvigorated that tuning in, for me. Grab your needles, focus within, and enjoy! This tutorial is brought to you by Visible Mobile, an app-based cell service offering unlimited talk, text and data for only $40/month! 1 ball each Loopy Mango Big Cotton (100% cotton’ 48 yds), in colors: A and B. With A, CO 42 (44). Place marker; join, taking care not to twist. Rnds 2-6: *With B K1, with A p1; rep from * around. Rnd 7: With A, knit. Repeat Rnd 7 until piece measures 7″(7 1/2″) 17 3/4 cm(19 cm) from CO edge. Cut yarn, leaving a long tail. Using tapestry needle, feed yarn through live stitches letting them drop of the needles. Cinch shut. Using desired method, make a pompom. 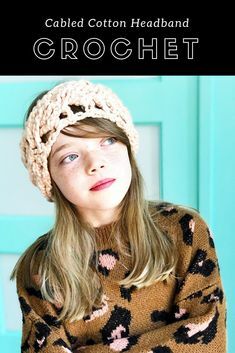 Sew onto top of hat. 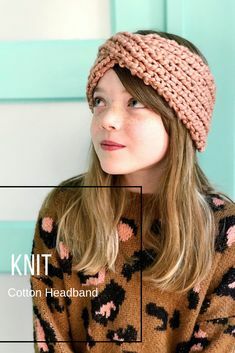 Using Color B, tapestry needle, and the photo and video as a guide, embroider eye on front of hat.